Our training sessions can be in the form of a workshop, retreat, or even an online video series. 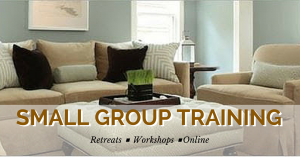 We will work with you to design the best retreat possible. Retreats can be as brief as 3 days or as long as 20 days. Our rates will change with the learning objectives, duration, number of participants, and location. * Fees do not include travel, lodging or meals.